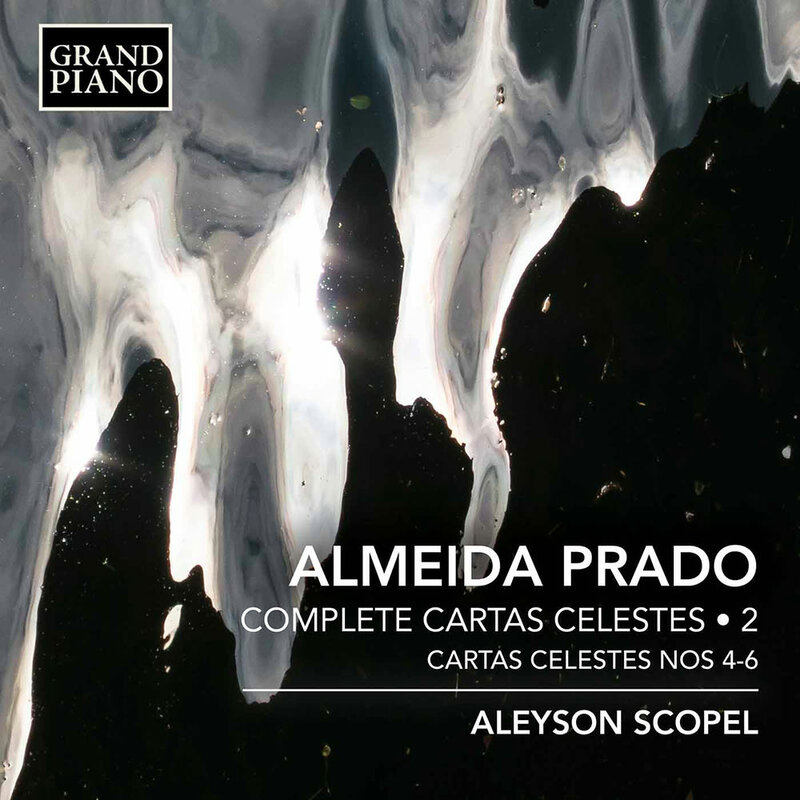 Brazilian pianist Aleyson Scopel presents the second volume in his exploration of the complete Cartas Celestes ("celestial charts") by prolific Brazilian composer Almeida Prado. The colossal 18 movement cycle of works depicts celestial bodies visible in the Brazilian sky, for which Prado invented his own harmonic language called "transtonality." Dense, rhythmically charged and saturated in the richest colours, these pieces complete the composer’s portrayal of the planets. "... they close a first cycle, painting with sounds the remaining planets from our solar system, including the Earth in all its majesty ... I remain constantly enchanted and intrigued by Prado's sound world ... an innovative, scintillating and spellbinding approach to the instrument, achieving effects not previously thought or heard of."